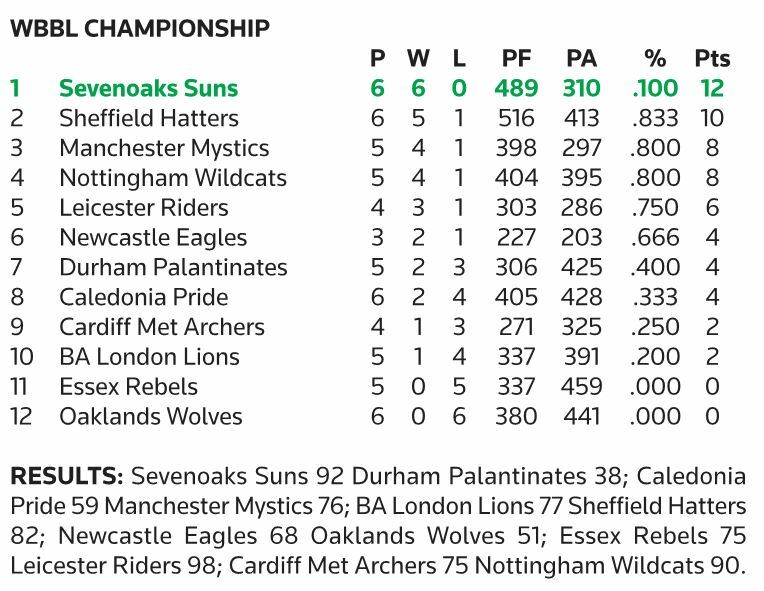 Sevenoaks marched to another win in the WBBL Championship on Sunday, defeating four-player Durham Palatinates 92-38, to give them their sixth win of the season and maintaining their 100% record. In a bizarre turn of events though, Durham had only arrived at the Sennocke Centre with a total of five players in this latest league instalment, partly due to illnesses within their squad. Unfortunately for the visitors, their best player, Monika Bosili, then rolled her ankle in the third minute of the game and was unable to take part going forward. At this point, Sevenoaks had already taken an 11-0 lead and were looking to post a record score over their opponents. Durham decided that they would not forfeit the game, but to continue with just four players. Credit to them, they battled on for another 37 minutes. Sevenoaks took full advantage of the extra player however, and soared into a 42-10 lead at the break, essentially securing the two points and the win. During the second half, Head Coach Len Busch utilised his full squad and a number of under-18 players got their first full flavour of the WBBL. Particular performances of note coming from Katie Bennett and Liv Partridge, scoring 11 and 10 respectively. All 12 Suns players scored points on the day. 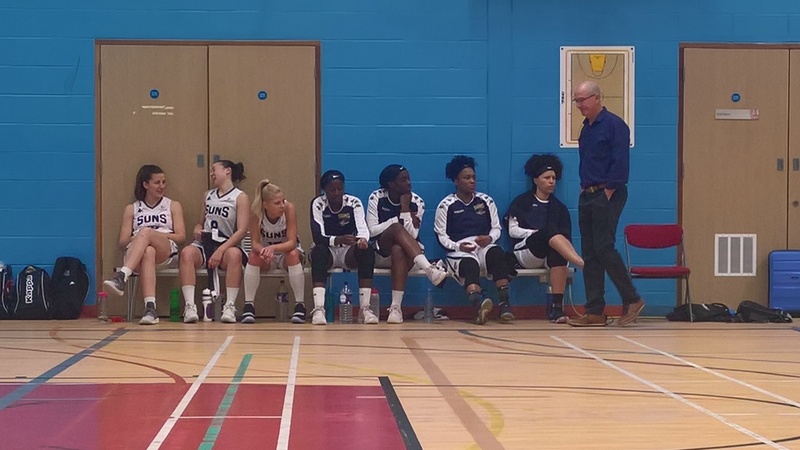 Meanwhile, Sevenoaks’ big hitters were given a rest and at one stage during the game, the bench was filled with seven players who wouldn’t look out of sorts in the WBBL team of the week. This included Cat Carr and Ta’Yani Clarke who played just 10 minutes each. Busch said after the match: “It was a strange one today, nobody likes to see that happen. We could have posted a huge score on them [Durham] today, but that would not have served anyone. Not us, our opponents, nor the league”. What a refreshing match experience, especially given the level at which these teams play each week! Well done to both sides, for completing the match, and in the manner that it was achieved. Suns now take an enforced four-week break before they return to action on Saturday 1st December at home against Newcastle Eagles. Tip off is currently scheduled for 6.00pm. Meanwhile, Busch has been crowned Molten WBBL Coach of the Month thanks to Sevenoaks’ perfect start. Charity cup success for Hill after a week to forget!